The Rosary and the Crisis of Faith. How the Rosary will lead to the triumph of the Immaculate Heart of Mary in our present crisis of Faith. Surprising and excellent. 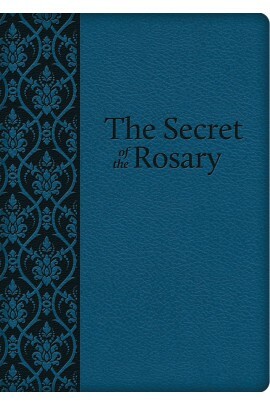 This classic by St. Louis de Montfort is still considered to be the finest book ever written about the Rosary. With over 5 million copies sold, it is clear why this book has been read by Catholics all across the world for centuries. Secret of the Rosary discusses why the Rosary is the most important prayer we can and how to pray it well. This new Premium UltraSoft edition is both beautiful and durable, making it a perfect companion in your Marian devotion. 1 John 5: 10. He that believeth in the Son of God hath the testimony of God in himself. He that believeth not the Son maketh him a liar: because he believeth not in the testimony which God hath testified of his Son.